I decided to treat myself to one of my all-time favorite pizza and sandwich shops yesterday… Bills Pizzeria in Newton Centre. 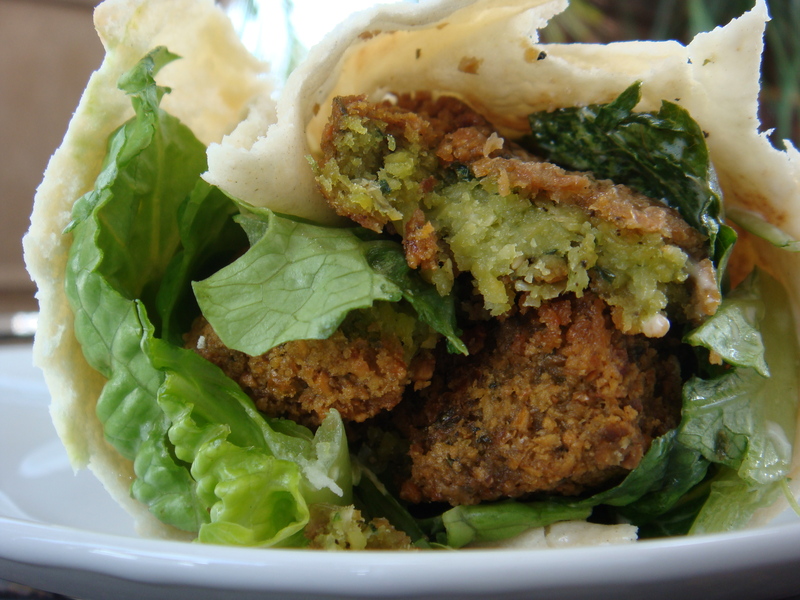 When I moved to Boston 11 years ago, my first apartment was in Newton Centre — so I had the opportunity to spend some time trying out all of the local restaurants. 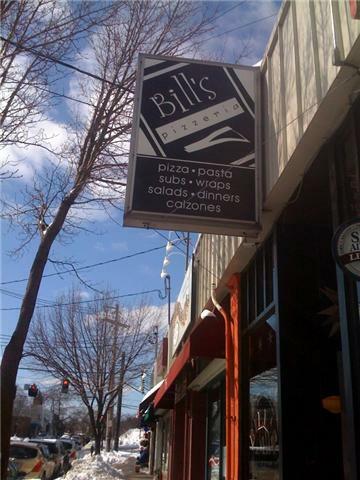 Many places have come and gone… but just as many have continued to be members of the community, such as Bill’s. 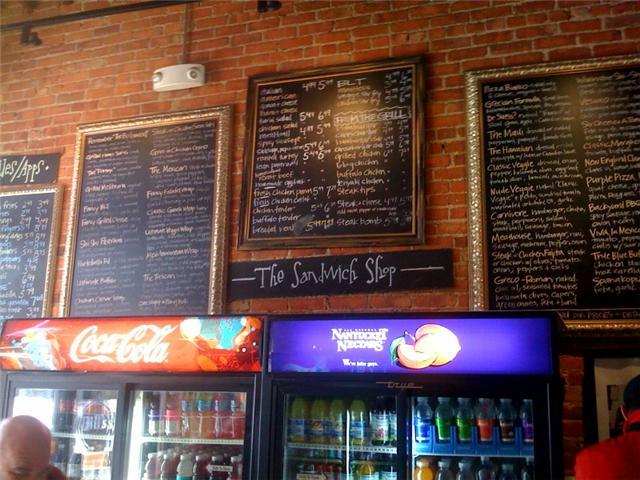 When you walk into the Bill’s, the first thing you notice is the hand written (and huge) menu that appears on the left wall — from Pizza to Wraps to Salads and Dinners. Ingredients are fresh and everything is good. Bill’s has also secured a beer and liquor license. What goes better with pizza than beer??? And for the die-hard fans, you can buy one of several versions of Bill’s T-shirts. A few years ago, Bill’s did a major renovation and expansion taking over the pace next to them — which now houses a large dining room where you can sit down and enjoy your food in a cool and funky setting. 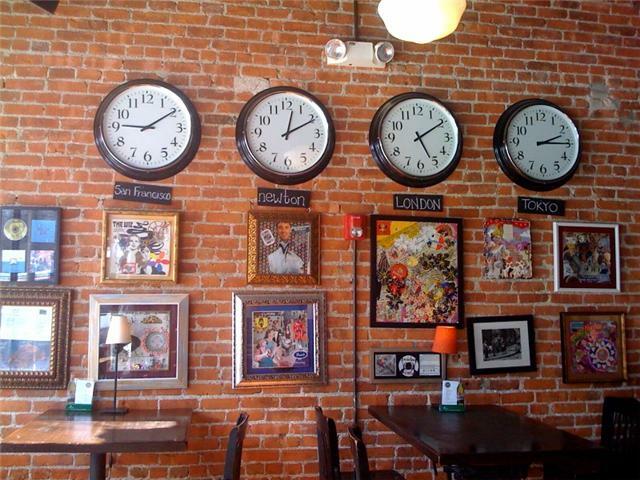 The walls are adorned with local art, cool collages and clocks depicting times around the world. Best of all? Just like many other local businesses, Bill’s is currently running a stimulus package… as demonstrated by this poster. Stop by to get your coupon to save money on your next pizza order… and they deliver! My mother, Emilia, mixed up a batch of salad dressing one day and it tasted so good (and you liked it so much) that we put it in a bottle, slapped a label on it and now it’s available for you to take home. 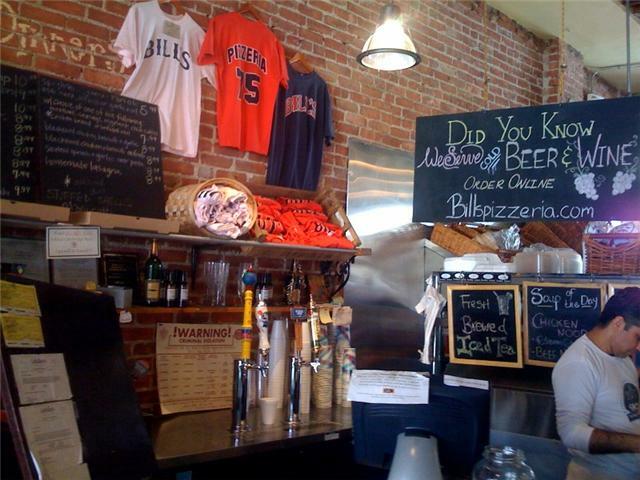 A neighborhood favorite for a very long time… Bill’s Pizzeria is a great family restaurant with amazing food and a fun atmosphere.